Do you teach in a classroom with twenty-five students reading on the same level? Do all of your students comprehend lessons at the exact same time? Congratulations, you are probably the only teacher in the world that actually has a group of students previously described. Classrooms are made for teachers to differentiate. If a teacher is not differentiating within the day, she is doing a disservice to her students. Advanced students can be challenged with programs like Moby Max, iTooch, or simply reading challenging novels. What about students that tend to struggle? With 25 students in the classroom, educators may not have the time to read aloud and work with every single student every day, but with programs like Quizlet you don’t have to. While working with a student after school, I was shown an exciting feature of a program we were already using in our classroom: Quizlet. 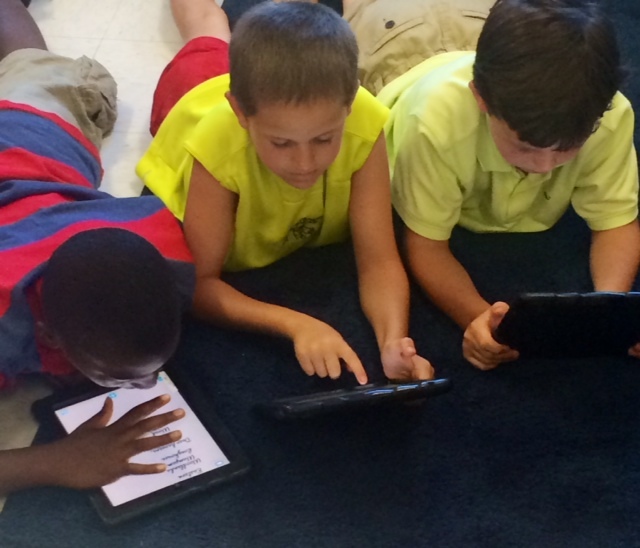 Quizlet allows students to review vocabulary words on their iPad or computer. The program offers games and digital flash cards. While working with this particular student he looked at his iPad screen, and I was reading definitions to him (really wishing I could work on something on my own instead of reading to him). That’s when he showed me a feature I did not know existed! Quizlet will read the definition and the word to students if the sound is turned on. Do you have students that can barely read your science or social students definitions, but need to know the meaning? This app is for them! Decoding no longer gets in the way of comprehension! Quizlet will read challenging words to students who are unable to do so independently. Parents, no more standing in your kitchen calling out definitions to your son and daughter! This program will do it for you. Thank goodness! Better yet, a teacher can set up a vocabulary station using Quizlet and rest assured that even if the student can not read the vocabulary words and definitions he can still hear them! Programs like Quizlet are game changers for meeting needs of students in our classrooms!